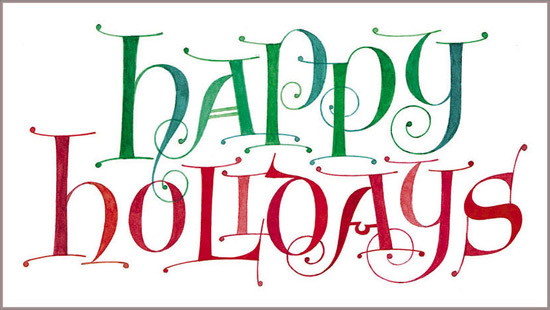 Happy Holidays to all of our wonderful readers – we owe it all to you and we can’t possibly thank you enough! We’re looking forward to spending the Christmas and New Year’s holidays with our families so posts may be a little slow this week, but we have lots of exciting new plans and ideas in the works for the new year that we just can’t wait to share with you. See you back here soon! These adorable cashmere bunny softies were made by Betz White and I think they’re an awesome project for the kids’ Easter baskets! Betz used scraps from cashmere scarves to make these but you could use an old cashmere sweater from your closet or from Goodwill instead. 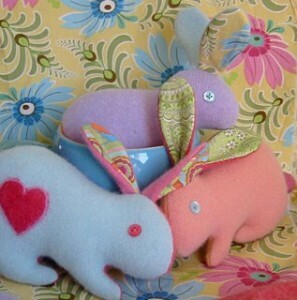 Additionally, her tutorial shows how to make those fabulous needle felted hearts on the side of the bunnies, however you could always use applique hearts if you’re short on time or don’t have the needle felting tools. 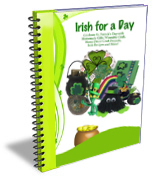 Whether you have some Irish heritage or simply look good in kelly green, St. Patrick’s Day is a fun holiday when everyone is “Irish for a day.” To help you plan your St. Patrick’s Day festivities, Fave Crafts has put together this free downloadable holiday craft guide complete with what to wear, how to decorate, gifts to give, and fun activities. They even threw in some trivia just for fun. Thanks to a partnership with RecipeLion.com, the ebook also brings you a hand-picked collection of St. Patrick’s Day recipes to complete the day. Just click here to download your free copy today! 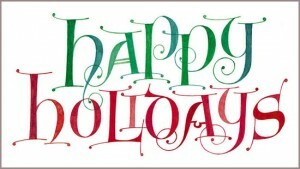 Two Free Christmas Craft eBooks! This is really the best time of year to be stocking up on your fabric stash! For example, Fabric.com is offering 50% off all clearance fabrics, no coupon necessary. They’re also having a huge President’s Day sale where you can get $10 off an order of $50 to $74.99 (use coupon code PRES1010), $15 off $75 to $99.99 (code PRES1510) and $20 off $100+ (code PRES2010). This offer is good until midnight February 15th, and as always, shipping is free on orders over $35. While you’re at Fabric.com, check out this free downloadable pattern for a cami and tap pants – just in time for Valentine’s day. 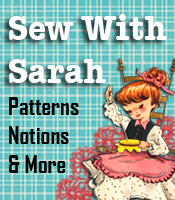 At JoAnn.com you can use coupon code TEF58B to get 50% off the regular price of any one item. That’s a hot deal – plus they’ve also got a big sale going on, including 40% off paper cutting tools including trimmers, punches, scissors, cutting mats and more! 50% off ALL Business Books! When Buying Fabric, Keep An Eye On The Prices!